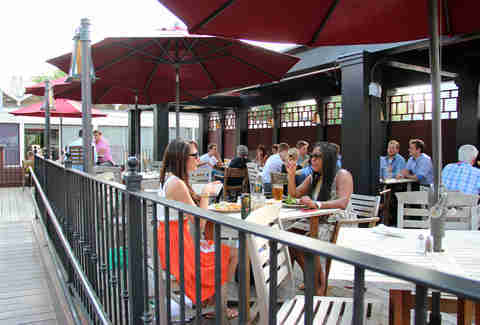 Because drinking Ice House with friends on a Beacon Hill fire escape isn't fun for anyone, least of all the fire escape, we've hammered out a list of our favorite outdoor bars in the Hub -- from Harvard Square beer gardens, to Back Bay roofdecks, to alleys in the FiDi -- and then ranked them, because, as Judy Sheindlin can attest, judging things is fun! 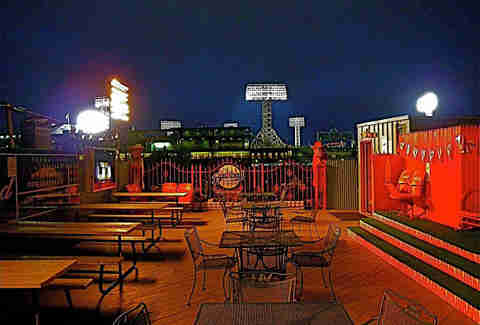 Boasting picnic tables and its own Green Monster, drinking on this deck overlooking Fenway is pretty much the next best thing to drinking in Carlos Quintana's very nice man cave, which includes a LaserDisc player! being at the game. 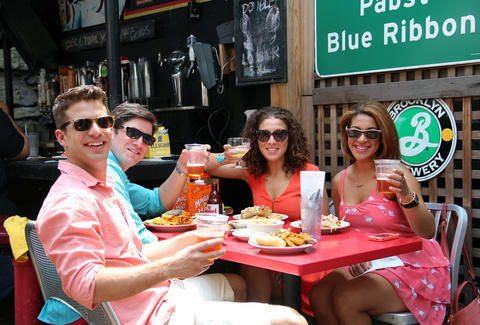 Having debuted over 20 years ago, the roofdeck at the Rattlesnake is like the grandfather of this city's outdoor drinking, welcoming you in with harrowing stories about the Korean War tons of tables, late-night eats, and its own exclusive bar. 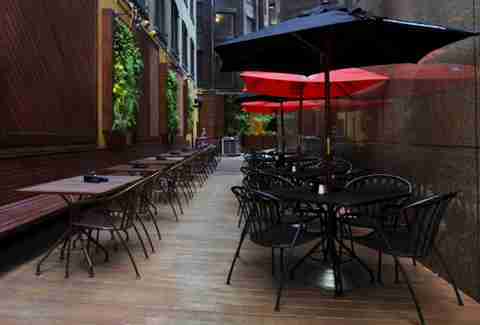 A hidden gem in the middle of the Financial District, this enormous wood- & brick-heavy alley rocks hanging vertical gardens and a solid lineup of draft suds. 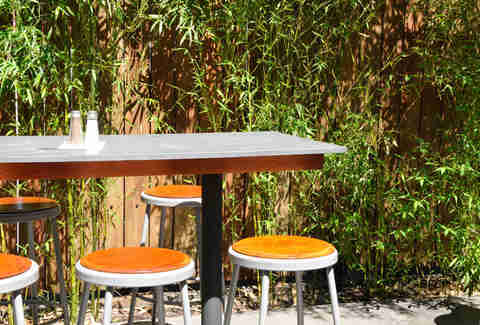 Instead of kicking back on a concrete-enclosed urban deck, transport yourself to Southeast Asia, or at least somewhere with a lot of bamboo, because that's what AC's hidden back patio is lined with. PRO TIP: Do NOT bring pandas. 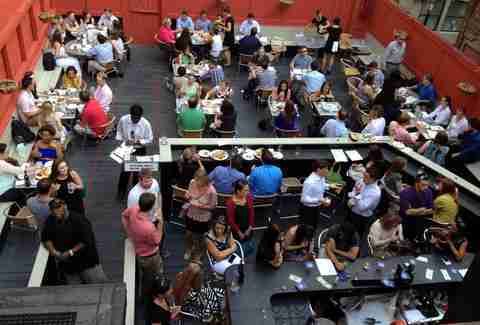 One of the Hub's more underrated outdoor spots, this partially covered roofdeck offers a calming oasis from the touristy Summer chaos that is Harvard Square (not to mention a solid, greenhouse-enclosed bar). 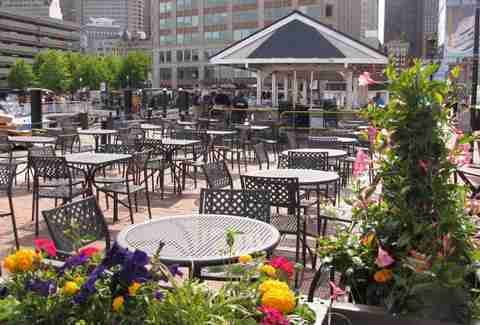 For people-watching alone, the dockside patio bar on Long Wharf's the perfect Summer spot to soak up the sun (and the harbor views) while sucking down a lineup of frozen cocktails, buckets of beer, and signature fish bowls like the extremely manly Bacardi & blue Curacao-mixed Gigantic Atlantic. 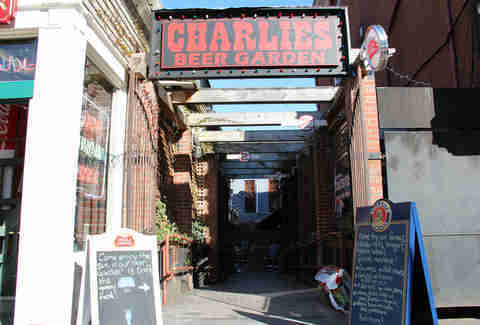 For an extended afternoon of straight-up outdoor beer drinking, settle in at the classic, year-round garden of suds nestled below Winthrop St and enjoy 18 taps, a quick-serve suds stand, and signature eats like their hot pastrami sandwich, lobster roll, or double cheeseburger. Yes, it sits out on Comm Ave. And, yes, if there is a Sox game that night, Lord help you. 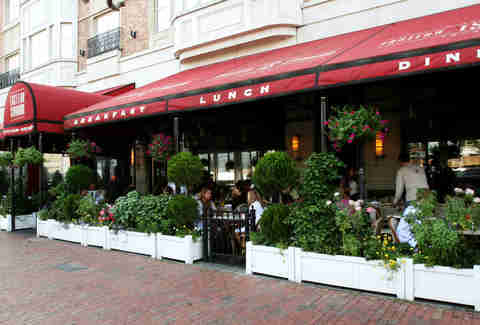 But if you're looking for a place to sit back, sip some of the city's best cocktails, slurp Island Creeks, and soak in the passing BU Summer students wearing awkwardly small shorts crowds, all whilst being shaded from the sun, warmed against the night's chill, and surrounded by lush greenery, well, this is that spot.